With the restoration of the Bøtø Nor Reserve, Guldborgsund Municipality has strengthened the area's unique nature and protected large areas from flooding. In 2015, Guldborgsund Municipality implemented a major expansion and nature conservation project in the local natural habitat, Bøtø Nor. The project’s comprehensive natural improvements and climate protection actions improve living conditions for the area’s many plant and animal species which, due to Bøtø Nor’s southern location and dry climate, house species that are not seen anywhere else in Denmark. During the recovery and conservation project, Bøtø Nor was transformed into a permanent wetland area. The work involved clogging ditches in the surrounding area, installing drainage and laying down three kilometers of plastic membrane in the ground to retain water. Several of the area's private landowners have voluntarily converted their agricultural land into nature reserves. The adaptation actions have enabled the area to drain water away from popular nearby holiday destinations which have previously experienced severe flooding during heavy rains. By expanding the wetlands, the area will now be able to cope with a 1-in-100-year rain event. Guldborgsund has contributed to promoting more sustainable agriculture by letting cows and sheep graze in the area, which has a ban on the use of pesticides and fertilizers. 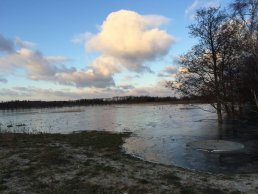 The Bøtø Nor Reserve can handle a 1-in-100-year rain event, ensuring that the surrounding dwellings are not destroyed by floods as the risk continues to increase with climate change. By expanding the natural area from approximately 85 to 190 hectares, the municipality has contributed to improved biodiversity and highlighting the area's diverse fauna and flora. 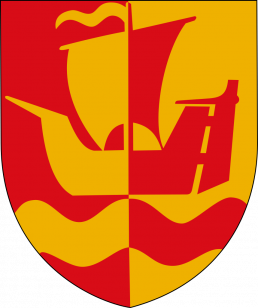 Guldborgsund is a municipality in Region Sjælland in Denmark, created on 1 January 2007 from six former municipalities on the two islands Lolland in the west and Falster in the east bordering the Guldborgsund strait.